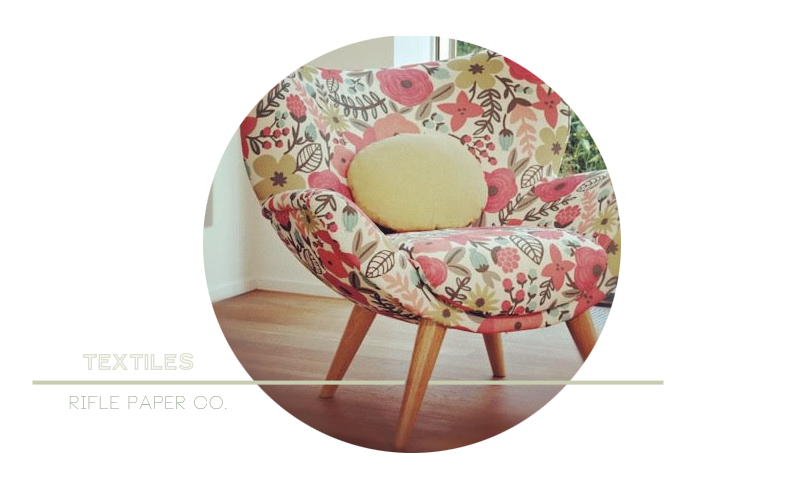 To add to the list of beautiful products from Rifle Paper Co...textiles! I spotted their first textile design (for UK's Villa Nova Fabric) on their Facebook page. I'm starting to keep an eye out for larger furniture pieces. I have an amazing sofa (reupholstered by wonder woman, aka Mom) a badass coffee table, and some vintage side tables that we love, but we could use some cool chairs...like that one up there. That is cool, fresh looking. Commercial Dubai is very much driven by the textile industry. Once a sleeping domain, the scene is completely changed now. textile shops in Dubai are a perfect place to bask into the glory of Dubai textile shopping.